Is PayRefe.com (Now: PayRefe.Net) Real or Just Another Fake Website? With the advent of latest trends of technology and the rise lot of job websites, finding work online is now much easier and people can use and maximize their internet looking for a decent job in a respected company. Of course, if you are smart enough to know what are those websites that are scams or not. As users increase with a remarkably high number, there are many websites yet created to scam people. This is disgusting and annoying. Well, this is expected though. So it would be preferable to research and study each websites. Now, if you are wondering or I guess you are very concerned about this PayRefe. You are in the right page. The purpose of this post is to determine whether PayRefe is not fake or it is real. I will give few reasons why it is real or scam. PayRefe is yet another [ allegedly ] job site that offers work online to its members. It is also offering some tasks for rewards and another earnings. Probably, PayRefe comes from the words: Pay and Refer. You will refer and get paid. PayRefe is a new innovating and internet job site, where you will be hired to do some tasks, different in type and number. and you will be paid a estimated reward for that instant in your account, after it the job poster will review the service and approve the status for your payout, then you will be paid for your work via Cheque. Other Payment options are also coming soon. You have to create a account with us to start and login to your member area, and do daily your jobs and you will be really great after using our service. In their web page, it is stated it is innovating. (like?). It has an instant job setup and users will expect guaranteed job (which I doubt). MUST SEE: Register here for FREE with CLIXSENSE: register and click here. PayRefe.com is quite new website. According to Whois.net, it is created last 18 September 2015 and will be expired on 18 September 2016. I believe this new job will certainly not give what a member hopes for. But before that, I discovered that it is blocked with BitDefender (Top #1 Anti-Virus). See image below. 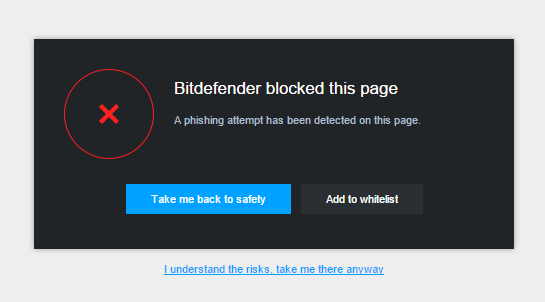 Here, BitDefender detected PayRefe to have a PHISHING attempt. NOTE: If PayRefe is seriously offering jobs, then they fix this PHISHING Attempt. 2. 10$ Signup Bonus ! Are you f*ckin kidding me? There's no LEGIT website can offer such HUGE amount of signup bonus though. Current Active Job holders: 128,000 Employees. Thank you for contact with us.Our team will reply you back with in next 5 days. You will get a reply(automated) with same scripts. sigh. How can they get such big amount of MONEY is a couple of days? hmmm. 6. There is no ACTUAL security FEATURE installed in the website. 7. Payment options is limited (of course, websites scamming people will only offer like this). 8. Upon requesting cashing out your earning, the user redirected. 9. NO forum or discussion pages. There is no HELL you can address your concern or attest on some members if they get the money or not. Payrefe.com has transferred to Payrefe.net be guided as always. 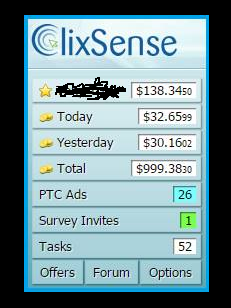 Good thing with ClixSense, is that you don't need to refer or invite anyone. You can try their mini job work called Tasks. AS of November 12, 2015. This is legit and real, so expect it will give you kinda low earning potential on clicking ads, like $0.01 per ads. (In surveys, if you are qualified, you can earn $0.50 to $2 per survey). The good thing is, you don't need to refer someone, you will just need to do some tasks — and complete it. In tasks, there are levels, if you reach at level 3 then you can even earn up to $20 per day! Well, I am still in level 0(probably I am busy in some other things), but in the future, I would certainly reach that level 3. Register and join now CLIXSENSE: register and click here.